These collections document various fieldwork and research projects, primarily relating to Byzantine and Pre-Columbian art and architecture, but also related to prehistoric sites in eastern Turkey and gardens in the United Kingdom. They range from the detailed architectural survey of Hagia Sophia conducted by Robert Van Nice and his fieldwork assistants between 1937 and 1980s; the documentation of architectural capitals in the city of Istanbul by William Betsch for his dissertation; the photographic and fineline drawing documentation of Moche art created and assembled by Christopher Donnan and Donna McClelland; and correspondence detailing the financial support provided by Mildred and Robert Bliss to scholarly publications and archaeological expeditions undertaken by Kirsopp and Silva Lake. Additionally, other collections illustrate Dumbarton Oaks’ early fellowship and institutional projects starting in the early 1940s, including systematic efforts to document Early Christian and Byzantine monuments, manuscripts, and silver objects. There are also photo albums detailing Donald Egbert and Andrew Keck’s 1937 travels in Europe and the Middle East, as well as Franklin Biebel’s efforts to document mosaic pavements in Byzantium and the West. 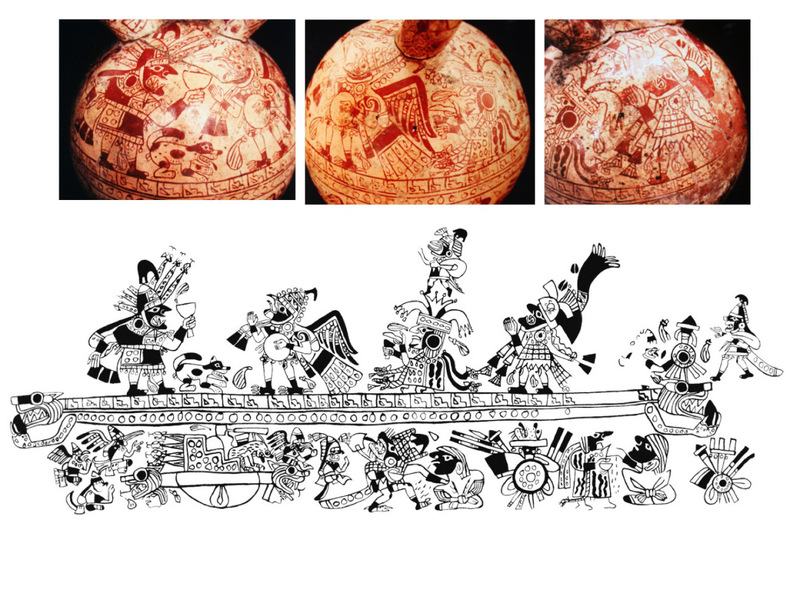 The Moche Sacrifice Ceremony depicted on a bottle in the Museo Larco, Lima. Photography by Christopher B. Donnan. Rollout drawing by Donna McClelland (448). Since our last announcement of published finding aids in April 2013, ICFA staff has continued to work on processing our collections and providing detailed information in our finding aids, in order to make our holdings more accessible to our users. As collections are processed, we develop finding aids to describe them more thoroughly and at more granular levels in the archival hierarchy. In the interim, collection-level descriptions in AtoM@DO and preliminary inventories serve to provide researchers with summary information about unprocessed collections. ICFA’s finding aids and inventories are available as PDFs linked from the collection-level records in AtoM@DO. To learn more about the collections they describe as well as the wonderful work of ICFA’s dedicated interns and part-time staff, please check out our blog: http://wp.me/p1ICIb-14P. In the coming months, ICFA will move forward with converting our long-form finding aids to hierarchical multi-level descriptive records in AtoM@DO. We will also continue to finalize other processing projects and finding aids for additional collections… So, stay tuned!